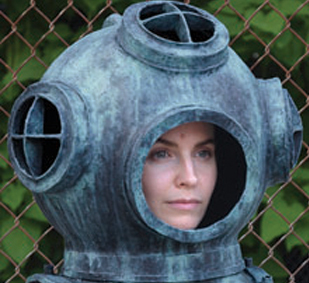 Ashira is an artist, architectural designer, fabricator, and professor who lives and works in Brooklyn, NY. She received her Bachelors of Architecture from Pratt Institute and AS in Fashion Design from the Fashion Institute of Technology. Her passion lies in working in between the fields of architecture and art, blurring the boundaries of the disciplines she was classically trained in. Ashira’s hands-on design approach is critical to her creation process. Liz is current based in Minneapolis, MN but traveling to Brooklyn for collaborative work with us. She is a talented artist – excelling in the fine art of paper mache. Find her on instagram @liz.sexton to see her creations. She enjoys playing with textures and obsessing over details. She also likes animals and hopes to have a pet crow one day. 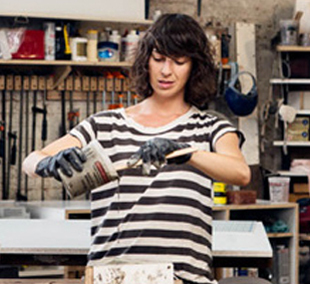 Erin received a BFA with a concentration in large-scale ceramic sculpture. She spends her time taking photos, cutting vegetables, and asking a lot of questions. Designer and producer of warm-aggressive contemporary furniture and fixture. Her work, often kinetically inspired, displays engineering prowess with intentional material usage and dependable functionality. With a background in architectural metalwork, Amy has a knack for bending metal, brazing and machining red alloys and patina finishes. Her work can be seen at Five & Dime in the Woolworth Building, Mathew’s Food & Drink in Jersey City and in private residences around NYC.